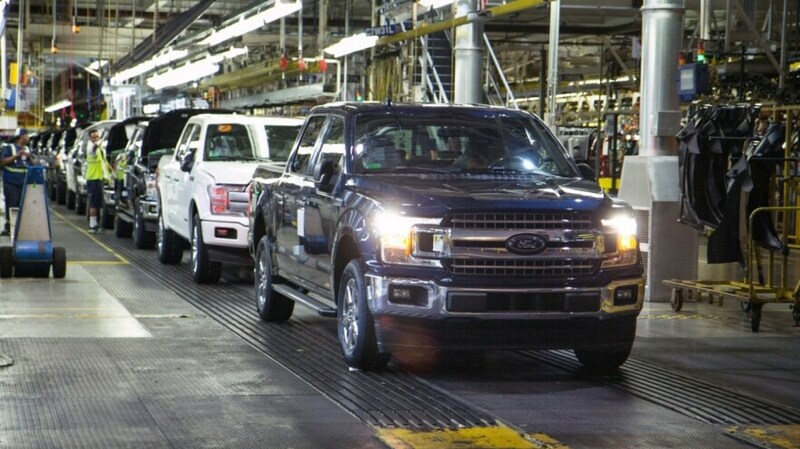 Production of bolsters for Super Duty is also restarting at the Eaton Rapids plant. 1 Adjusted earnings per share is a non-GAAP financial measure. Ford does not provide guidance on an earnings per share basis, the comparable GAAP financial measure. Ford’s earnings per share in 2018 will include potentially significant special items that have not yet occurred and are difficult to predict with reasonable certainty prior to year-end, including pension and OPEB remeasurement gains and losses. Ford Credit could be subject to new or increased credit regulations, consumer or data protection regulations, or other regulations. We cannot be certain that any expectation, forecast, or assumption made in preparing forward-looking statements will prove accurate, or that any projection will be realized. It is to be expected that there may be differences between projected and actual results. Our forward-looking statements speak only as of the date of their initial issuance, and we do not undertake any obligation to update or revise publicly any forward-looking statement, whether as a result of new information, future events, or otherwise. For additional discussion, see “Item 1A. Risk Factors” in our Annual Report on Form 10-K for the year ended December 31, 2017, as updated by subsequent Quarterly Reports on Form 10-Q and Current Reports on Form 8-K.